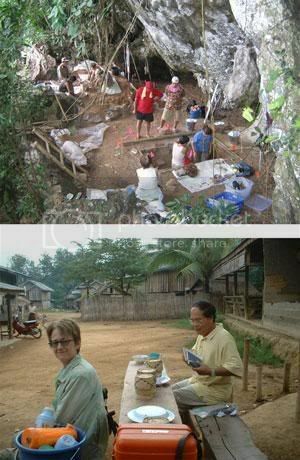 A Wall Street Journal article on people who changed career paths features one of our own, Joyce White of the Institute of Southeast Asian Archaeology! Joyce White was an atheist as a graduate student and intent on being an archaeologist in Europe, something she decided when she was about 15 and saw cemetery excavations at medieval churches in England. During a slide presentation of a professor’s excavation in Thailand, one image captivated her for reasons she still can’t quite explain. The photo was of a field he crossed en route to the site. Pack animals carrying his equipment rested in the field, which ended in a dark tropical forest. “It was a vivid experience. I saw myself in that slide,” she says. “There was a compelling aesthetic draw of some sort.” She abandoned plans to work in Europe in favor of Southeast Asia. It was a leap. Her professor discouraged her, citing huge cultural and physical obstacles for a woman archaeologist in Thailand.